As a teacher and freelance writer, I’m no stranger to criticism. In fact, I welcome a well-thought- out revision from an editor or insightful comment from a student that really shows they’ve paid attention and want to make you and your work better in the future. But as the semester and calendar year come to a close, I always make time to refill my own praise reservoir for the dark days when students seem to be putting in exponentially less effort than I and the freelance assignments are few and far between. I review and save any appreciative emails from students and editors and carefully file the rare handwritten card in its own special folder. Refilling the reservoir also means reading unflattering emails editors may have sent on a bad day in the last six months and revisiting the last round of end-of-semester evaluations that slammed the textbook I didn’t choose myself or picked apart my Southern accent as “just too much” before deleting them for good. Criticism can contain valuable nuggets of advice to help guide improvement, but it never seems in short supply. 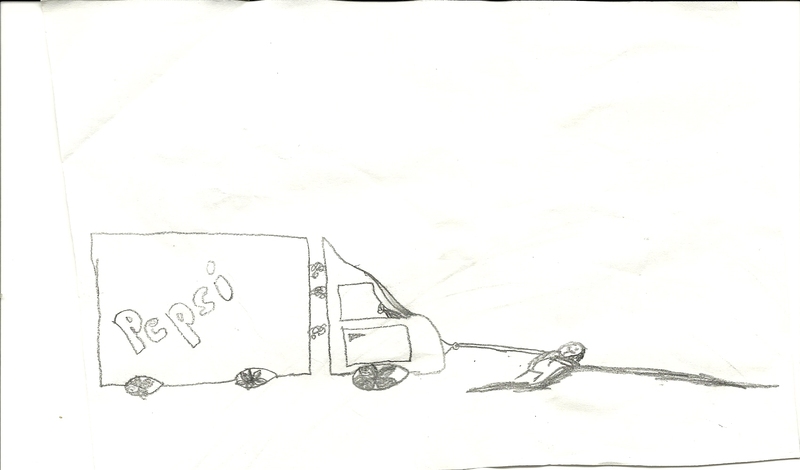 However, it’s not every day you get a sketch from a student that depicts you single-handedly pulling a soda truck to its destination, so I’d certainly save those when they come along.